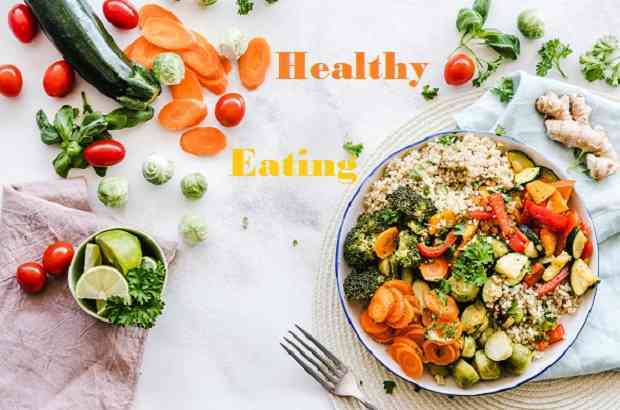 Home / Food / food sources / healthy eating / healthy lifestyle / lifestyle / list of nutrients / nutrition facts / protein rich food / wellnss tips / Importance of Food in Our Daily Life-How Eating Healthy Affects Our Health? Importance of Food in Our Daily Life-How Eating Healthy Affects Our Health? Importance of Food in Our Daily Life-How Eating Healthy Affects Our Physical and Mental Health? The importance of food is obvious and essential. It provides us the nutrients and energy to develop and grow, be active and healthy, to move, play, work, think and learn. Foods are directly related to our body and mental and social health because each food or liquid contains particular nutrition such as carbohydrates, protein, vitamins, minerals, fats etc, which are very necessary for our physical and mental growth. Food is the third most important thing for living beings to provide energy and development, maintain life, or stimulate growth after air and water. In fact, it is one of the most complicated sets of chemicals. Food plays an important role in the promotion of health and disease prevention. In general, it consists of essential nutrients, such as carbohydrates, proteins, fats, minerals and vitamins which are consumed to provide nutritional support for an organism and ingested by an organism and assimilated by the organism's cells to sustain health. These nutritious foods are in the form of grains, pulses, fruits, vegetables, oils etc. We must know that the terms ‘food’ and ‘nutrition’ are sometimes used synonymously, that is not correct completely. Food is a composite mixture of various ingredients that are consumed for nutrition. On the other hand, nutrition connotes a dynamic process in which the swallowed food is utilized by the human body for nourishment. As much as we eat, our body gets nourished. When there is an insufficient intake of protein, energy or carbohydrate, there is often illness or infection. Foods are secured through several methods: agriculture, hunting, gathering etc. The detailed statement is that most food has its origin in plants. Some food is derived directly from plants, but even animals are also used as food sources which are picked up by feeding food from plants. Some foods are not directly obtained from animal or plant sources they are obtained from various edible fungi, especially mushrooms. Fungi and ambient bacteria are used in the preparation of fermented and pickled foods like leavened bread, alcoholic drinks, cheese, pickles etc. Another example is blue-green algae such as Spirulina. Inorganic substances such as baking soda, salt, and tartar cream are used to preserve or chemically convert a component. How Does Healthy Eating Affect Our Physical, Mental and Social Health? 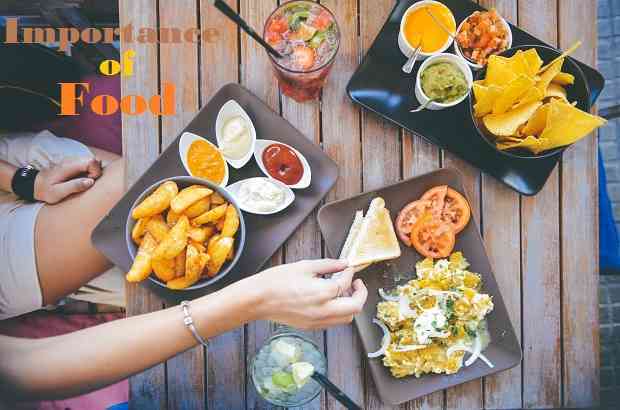 We all know very well foods are very important and we consume them in our daily life, foods affect our body and our mental and social health because each food or liquid contain particular nutrition which is very important for our physical and mental development. Whenever we take any food or nutritious fluid, our bodies digest and absorb simple but essential minerals, vitamins, fats, proteins, carbohydrates, fats and water from these meals or nourishing liquids and convert that into the bloodstream and energy that help our body to stimulate growth and keep it healthy. Let's say, foods have various roles in human life so they are quite interesting and worth reading. · Our body is just like a machine; like an engine burning fuel, the work of the body due to energy supplied from food. The food we take in our nutrition acts as a fuel to generate energy in the mitochondria. Glucose from food interacts with oxygen to form energy, Carbon dioxide, and water molecules. Our body uses consumption of food in order to generate the driving forces to keep the lungs breathing the heart beating, and the limbs functioning. · We go to the gym and do strenuous exercise for bodybuilding, in this process, we need protein. So gym instructors give us the advice to take those nutrients to consume a high diet containing foods. For this purpose, protein-rich foods such as pulses, milk, eggs, vitamin-rich vegetables, and meat are recommended to help build enough muscles and get the perfect body. · Food contains proteins which provide amino acids for digestion. These amino acids build proteins and fill a variety of roles, from supporting metabolism to protecting our heart. and proteins are life-sustaining macronutrients which act to build body cells and other tissues to maintain shape and function. Our body also uses amino acids for energy when you lack carbs and fats. · When we feel sick, we take food and medicine to be cured and healed, if we eat sufficient food, our immunity boosts up and we feel relieved from a cough, cold-like symptoms to a recognizable extent. Even in most infections, diseases or illnesses, the patients become very weak because they have stopped or are reluctant to eat. · Nutrition deficiency is a sort of diseases wherein lack of food or excess food causes the disorder. Lack of sufficient diet along with administration of drugs leads to many problems like drug accumulation, development of resistance to the drug by microbes etc. This is because the food is an enzyme inducer. Thus on metabolism drugs become more water soluble and get excreted from urine Food gives strength to the body to accommodate a drug and medicine safely and also metabolize them after their action in the body. Many oil soluble medicines are well absorbed in the presence of fatty foods. 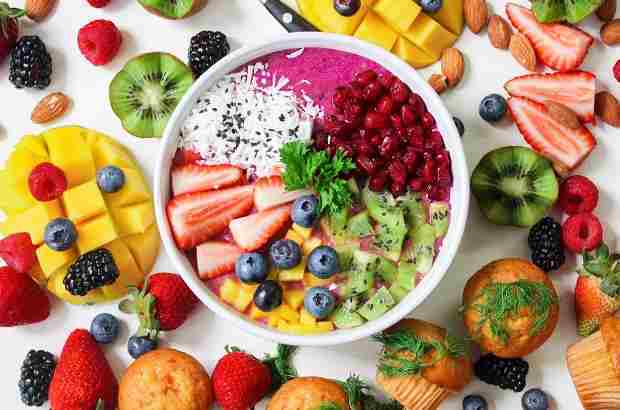 · During a wound, bone fracture or inflammation, consuming sufficient diet helps to overcome the pain and inconvenience during the healing process. It indicates that food is also used as medicine drugs, without food drugs fail to overcome some diseases like tuberculosis, sunstroke, gastric ulcers, skin diseases, muscle pains etc. So one of the best technique to overcome diseases is to have a reasonable amount of food. · Many people under stress and depression neglect food. But interestingly the same food can relieve stress and strain. So if you are having any tension, then ask him to consume enough food and you will see that he gets some relief from stress and depression. By the way, the importance of food is apparent, yet we have tried to write on this topic, someone might be able to benefit from this article and he may include me in his prayers. Read more: What types of food are beneficial for a healthy diet? Good and Bad Acidic Foods|Are acidic foods harmful to health? Legumes or fruits are the sources of vitamins, minerals, and fibers; they will also provide you with proteins and other healthy materials. They include peas, beans, lentils, peanuts or groundnuts, and soybeans, and the most important thing is that they are cheaper than animal meats. With each meal, you should include a staple food and the main meal that will give you energy and protein for the day. Staple foods items include starchy foods such as wheat, rice, yams, potatoes, or plantains. The staple foods will give you energy and keep you powerful but they will not provide all types of vitamins that your body need for proper working. Drinking more water may seem like an easy task, but you should drink eight cups of fluid every day. If you are active in the sun and any hotter places or you are sick then you should drink more water. A reusable water bottle can help you keep a better track of the number of fluids you drink daily, while you are encouraged to drink more. Food is an important element in building the human body. The Almighty God has created many foods that have important benefits for building cells and body tissues by containing important and necessary nutrients, so the body needs to eat food in sufficient quantities to get energy. A human body needs foods to do many functions in the body, bodybuilding and growth, and development, as well as to resist the germs and various diseases that may be infected. This is what we have discussed here for you. Importance of food and its effects on our body and mind are very interesting topics and will be always trending subject for students, teachers, and researchers. In the last, we have given some health tips that will help you to stay healthy and keep your body maintained.